A Bloomfield resident, Mr. Eddie Arnold Greer, age 70, passed away Friday, November 23, 2018 at his residence. He was born January 2, 1948 in Chaplin to the late Truman and Elizabeth Grigsby Greer. 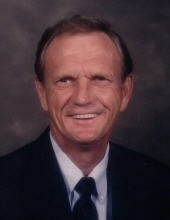 Eddie was the owner of Greer’s Garage Radiator Shop for 53 years and was a member of Van Buren Baptist Church. Along with his parents, he was preceded in death by a sister, Marilyn Bricken and 2 brothers, Harry and William Greer. He is survived by 2 daughters, Rebecca Greer (Stevie Lawson) of Chaplin, Christy (Mike) Shoffner of Bloomfield, 2 sons, Jimmy (Layne) Greer of Bloomfield, Jason (Nikki) Greer of Lexington, 3 sisters, Sue Montgomery of Louisville, Geraldine Coulter of Chaplin, Treda (Marvin) Montgomery of Bardstown, 10 grandchildren, Amber, Angela, Courtney, Elizabeth, Ryan, Grace, Faith, Olivia, Shane, and Colter, and 10 great grandchildren. Funeral services for Mr. Eddie Arnold Greer will be 11:00 am Monday, November 26, 2018 at the Houghlin Funeral Home in Bloomfield. Bro. Paul Hagerman and Bro. Winfred Hagerman will officiate. Interment will be in Highview Cemetery. Visitation will be Sunday from 2:00-8:00 pm. The Houghlin Funeral Home of Bloomfield is in charge of arrangements. To send flowers or a remembrance gift to the family of Eddie Arnold Greer, please visit our Tribute Store. "Email Address" would like to share the life celebration of Eddie Arnold Greer. Click on the "link" to go to share a favorite memory or leave a condolence message for the family.